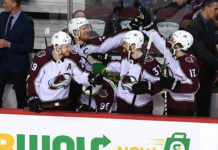 On Monday night in Pittsburgh, the Colorado Avalanche bested the defending NHL champions in a 2-1 matchup that saw all of the goals scored in the final period. 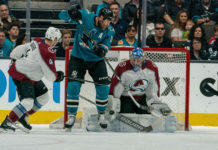 The Avs won the battle in what could only be described as a goaltenders’ duel, as Jonathan Bernier stifled nearly every shot attempt with 39 saves compared to Tristan Jarry’s 26. 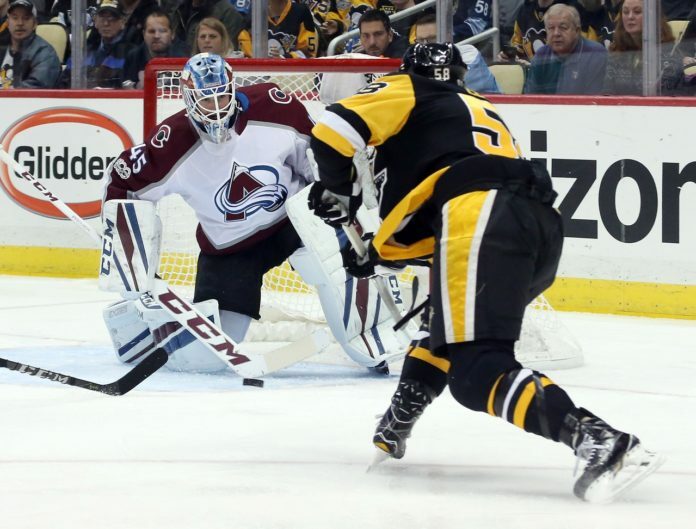 Had Bernier not been as on-point in the net, the game could have turned out much differently for the embattled Avalanche. After a scoreless first and second period, the Avs picked up the intensity in the third as Mark Barberio netted the first goal of the night 6:17 into play. For a long time, that was the only point on the board. That is, until teammate Blake Comeau backed him up with his own score — an empty-netter with just a minute and a half remaining. Not ones to get shut out, the Pens got a little relief from Phil Kessel with 12 seconds left, but it was too little, too late. The Avs advanced to 14-13-2 on the season as they head next to Washington to face off with the Capitals at 5 p.m. The game will be broadcast on the Altitude Network.